That’s a lot of esses. Last Saturday was the monthly Second Saturday Art Walk event. I planned to go biking with a friend on the Center for Contemporary Art, Sacramento self-guided tour of artists’ studios. First I snuck in some local shopping. I had not been to French Cuff’ Consignment new location since they moved into Krazy Mary’s space. I found a couple vintage things that didn’t fit me but would look great on someone else. Belted blouses are very flattering and fashionable right now. A bigger size can be worn if it fits in the shoulders. Try changing the belt for a different look. 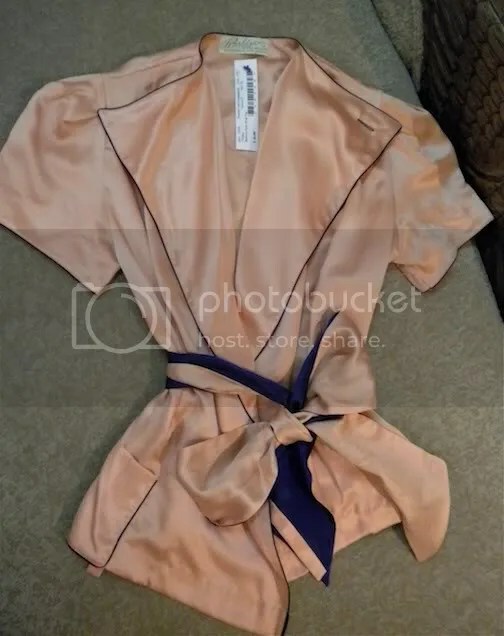 Vintage pink silky belted blouse with blue trim at French Cuff Consignment. Fair Isle knits are sometimes described as a trend but they really are a classic look. 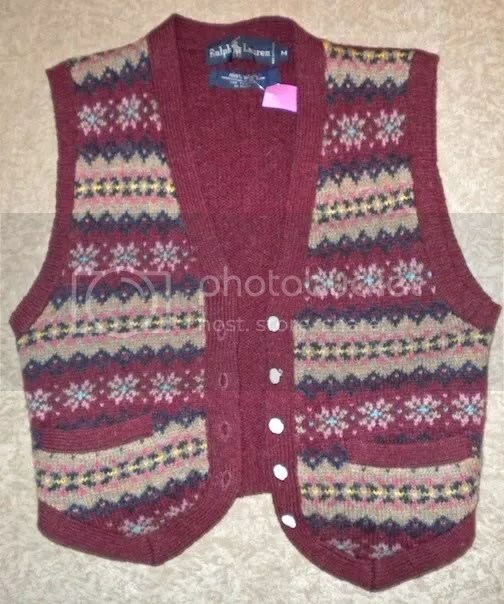 Knit Fair Isle sweater vest at French Cuff Consignment. These shoes are too small for me but are fun to admire and are in mint condition. 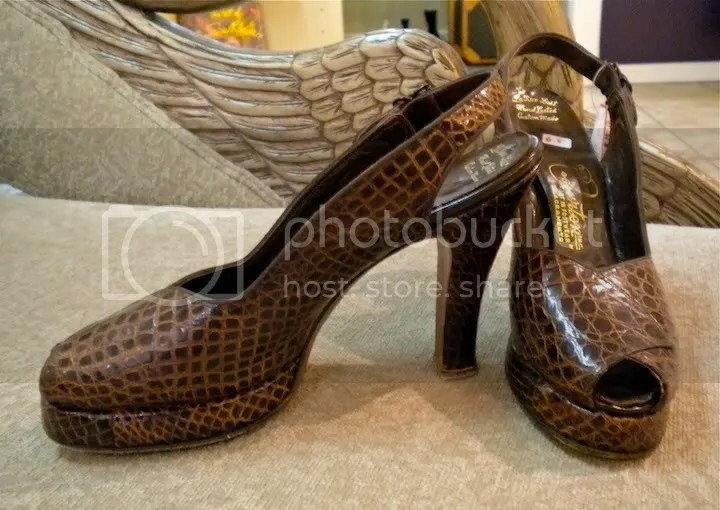 Vintage brown slingback platforms at French Cuff Consignment. After doing some serious buying at Krazy Mary’s (a separate post entirely) I biked over with my friend to several galleries. We saw some live watercolor and wood carving demonstrations and then headed over to Verge Center for the Arts at their new location. 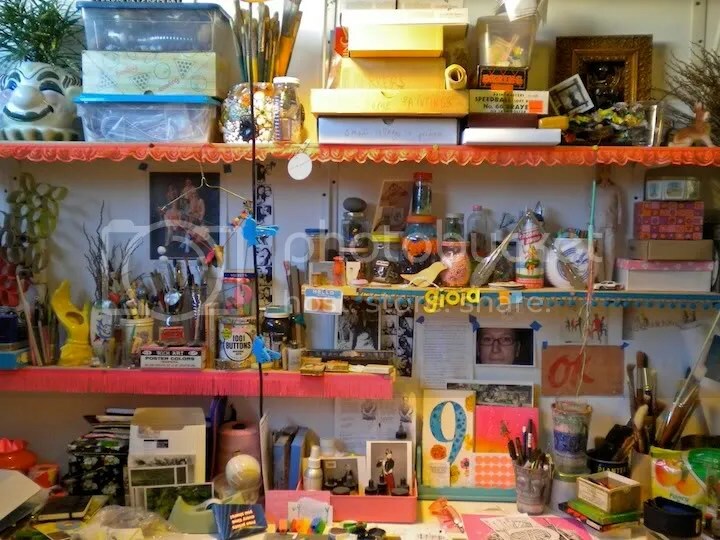 I was really inspired by Gioia Fonda’s studio. Sometimes I feel like I need to be a minimalist with my desk space but I think Gioia’s set-up is perfect. Just a little insight into the creative mind.